By all it is known that iOS 11 is producing many errors, bugs and other problems to Apple's mobile devices. It all started with the problems in the iPhone 8 audio calls , a strange noise that Apple would solve in an update soon after. 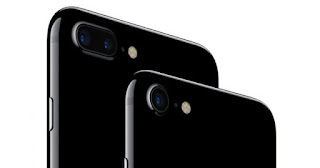 Now a new problem of iOS 11.3 is affecting some models of iPhone 7 and iPhone 7 Plus, causing the microphone to stop working. Fortunately, as we have been able to discover, Apple will replace all those mobile devices affected by this problem. 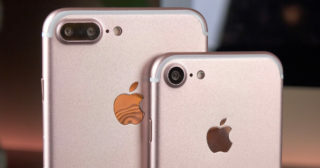 The document shared by Apple indicates that some iPhone 7 and iPhone 7 Plus users may experience microphone failures after updating their phones to iOS 11.3. On the other hand, this problem also causes the loudspeaker button to fade during incoming and outgoing calls . Other symptoms of this curious problem of iOS 11.3 include the lack of audio during playback of voice recordings or videos created on the affected iPhone 7. The document describes the steps to solve the problem, such as disconnecting any Bluetooth or other audio accessories and running audio diagnostics . The document states that if the device is out of warranty, it may become an exception, that is, Apple could replace it as well. Although that may vary case by case. It is not clear if this means a complete replacement of the unit or a repair to solve the problem . At this time, there does not seem to be a large number of affected devices . But have you had this problem with the microphone or with the audio on your iPhone 7? If so, we recommend you go to the nearest Apple Store or contact Apple's customer service.